Please ! protect and save this bluefin tuna. now. It 's need .Their life would reduce. Help the wildlife ecosystem. I love to protect marine wildlife such as western Atlantic bluefin tuna, blue marlin, sea turtle, bluefin tuna by signing but question about data: Is not clear because did not mention percentage. 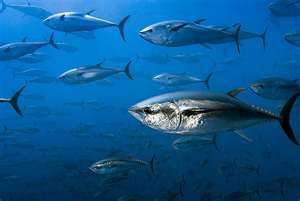 "The U.S. surface longline fishery frequently exceeds its annual share of the bluefin quota." What are percentage on exceed quota on longline fishery of tuna?